“On Thursday, November 23, Teddy & the Bully Bar will host a Thanksgiving meal for a total of 30 women from local charity N Street Village. 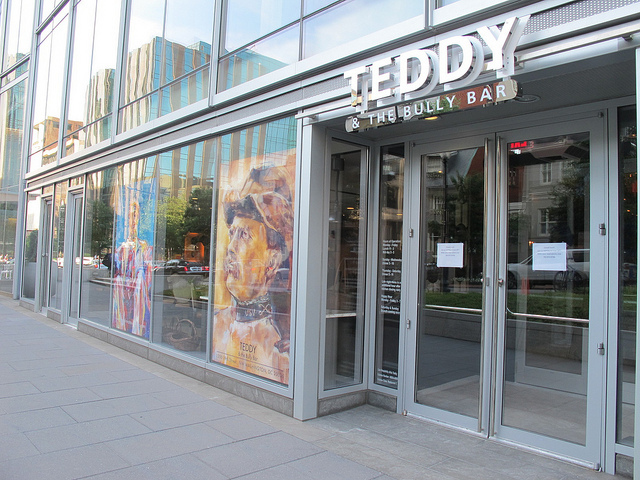 Teddy & the Bully Bar, located at 1200 19th St NW, Washington, DC 20036, will provide transportation for the 30 attendees, along with a Thanksgiving buffet featuring traditional dishes such as Leaping Waters Farm roasted turkey, buttermilk potatoes, challah stuffing, and more. The meal will take place from 10am-12pm in one of the restaurant’s private dining rooms prior to the restaurant opening to the public for their annual Thanksgiving dinner being served from 1pm-8pm. “We are so excited and grateful that Teddy & the Bully Bar reached out to us wanting to host this event. We knew we wanted to do something for the women at our Phyllis Wheatley location and this opportunity couldn’t be more perfect. We’re excited and we think the women will be too,” says Associate Director of Corporate Partnerships and Volunteerism Heidi Gauthier. N Street Village has been helping and empowering homeless and low-income women in Washington, D.C. since the 1970s. Since its founding over 40 years ago, N Street Village has grown to be the largest provider of housing and services for women experiencing homelessness in Washington DC, and a national model for effective solutions. In 2016, media mogul Oprah Winfrey pledged $1 million to the organization furthering their positive impact on the community. Most recently, N Street Village was chosen as one of The Washington Post’s 2017-2019 Helping Hand beneficiaries. Recently it has been announced that some services will be relocating from their Logan Circle location to another facility due to the increase in property values in the area. During these times of change and uncertainty, Teddy & the Bully Bar hopes to provide a place for attendees to enjoy a holiday meal among friends and be able to relax, if even just for a few hours. Commitment to philanthropic pursuits is nothing new for the PRG Hospitality restaurant. Whether it’s hosting a benefit event, like Uncork for a Cause, or donating space in the restaurant for a fundraising happy hour, Teddy & the Bully Bar is devoted to working with local organizations to help the community in any way they can. “Community is at the heart of what we do. Doing events such as this is good for the organizations, good for the neighborhood, and good for the restaurant,” says Popovsky. About N Street Village For over 40 years, N Street Village has helped women achieve personal stability and make life-changing gains in their housing, income, employment, mental health, physical health and addiction recovery. The Village empowers homeless and low-income women to claim their highest quality of life by offering a broad spectrum of services and advocacy in an atmosphere of dignity and respect. The organization also provides affordable rental housing for low- and moderate-income individuals and families. For more about N Street Village, please visit http://www.nstreetvillage.org. If You’re Hitting Meridian Pint Tonight – You Can Bring Your Own Food After 5pm for the Caps Game! !